One of the most prominent citizens of Göteborg, Sweden, plunges to his death off an apartment balcony, but what appears to be a “society suicide” soon reveals itself to be a carefully plotted murder. Irene Huss finds herself embroiled in a complex and high-stakes investigation. 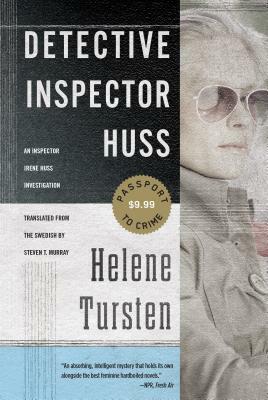 As Huss and her team begin to uncover the victim’s hidden past, they are dragged into Sweden’s seamy underworld of street gangs, struggling immigrants, and neo-Nazis in order to catch the killer. Helene Tursten was a nurse and a dentist before she turned to writing. Other books in the Irene Huss series include Night Rounds, The Torso, The Glass Devil, The Golden Calf, The Beige Man, and The Treacherous Net. She was born in Göteborg, Sweden, where she now lives with her husband and daughter.